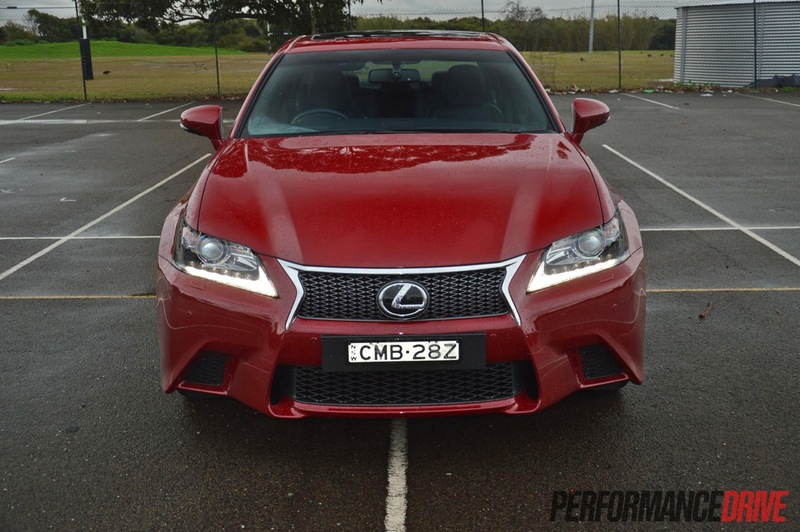 Welcome to the 2013 Lexus GS 350 F Sport; what is, in our opinion, one of the more driver-focused and nicest handling large luxury sedans on the market. It is up against some serious competition though, is it the better all rounder as well? 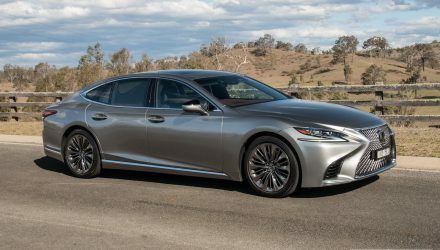 Lexus introduced the all-new GS series last year with a goal to really change the game in the large premium sedan segment. 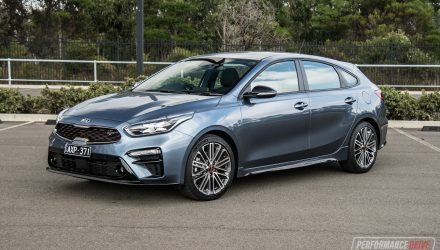 The car has been developed as a much better driver’s car compared with the previous version, with testing and development taking place on the notoriously demanding Nurburgring in Germany. 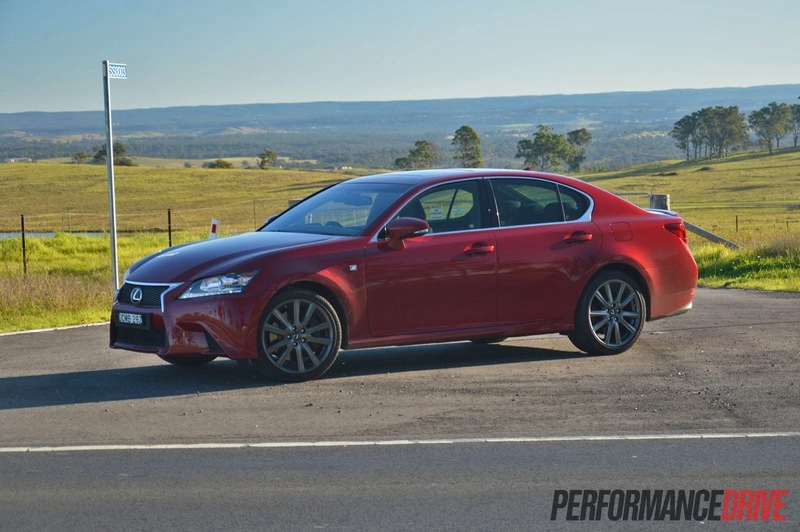 In fact, ‘Team GS’ engineers clocked up more than 1.6 million kilometres in testing to ensure the new model met targets for driving performance and the foundation for an excellent grand touring sports sedan. So, what are the main areas that have changed for the new model? 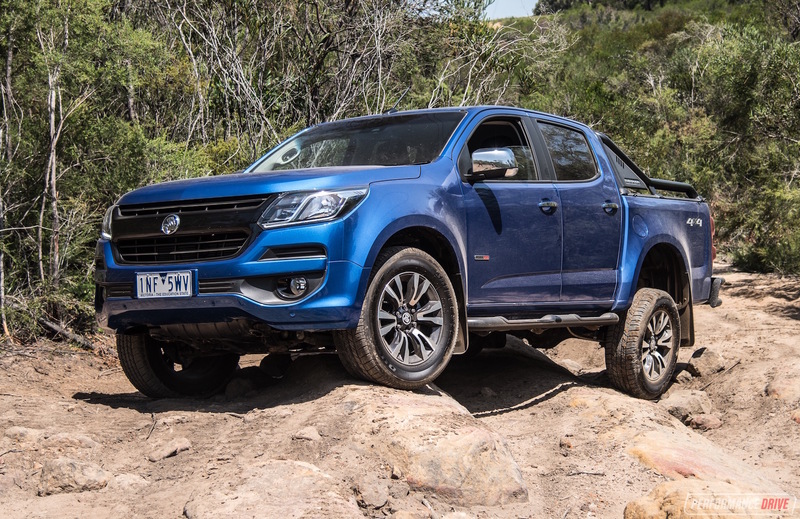 It comes with a brand new platform which is 14 per cent more rigid and 30kg lighter than the one used on the predecessor. It uses forged aluminium chassis components too, with new double wishbone front and completely redesigned multi-link rear suspension. 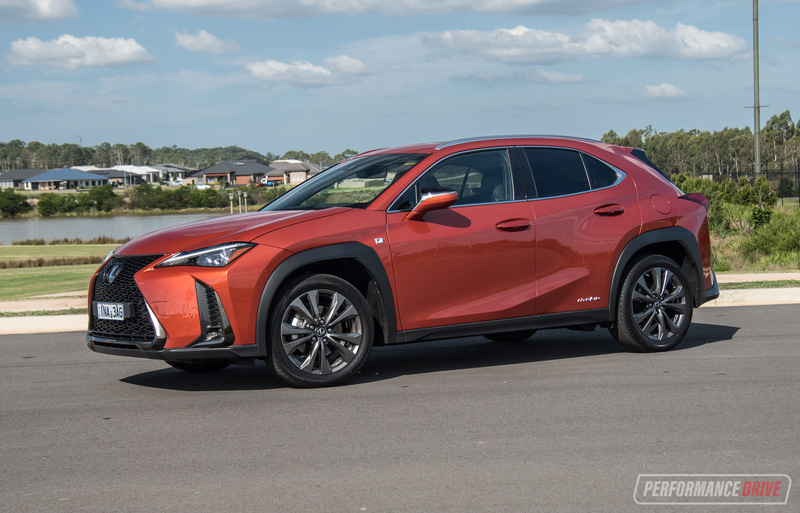 Other than the fundamentals, it’s filled with a lot of advanced technology such as Variable Gear Ratio Steering (F Sport), Vehicle Dynamic Integrated Management, head-up display, and radar cruise control and electronic brake control. Available in three forms, including the GS 250, 350, and 450h, there’s enough of a selection in the GS range to suit most needs. However, like all Lexus cars, there is no diesel option. 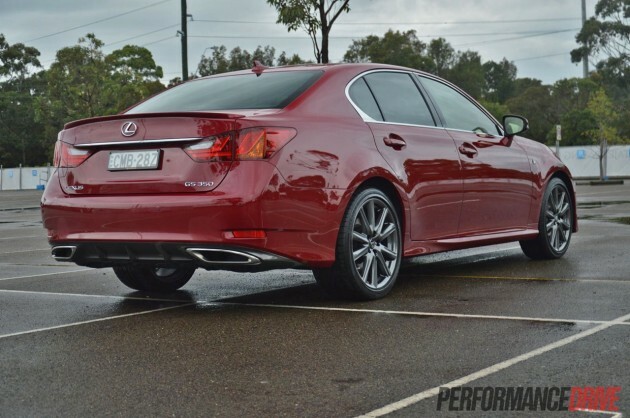 In the GS’s case, all of the direct rivals are available with a turbo-diesel. The F Sport is a further derivative, a trim line, which can be had on all variants. It adds sportiness to styling, handling, and to the cabin. 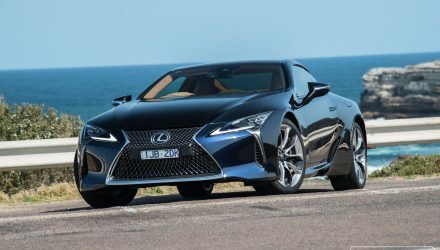 Prices for the GS 350 F Sport start at $99,045. 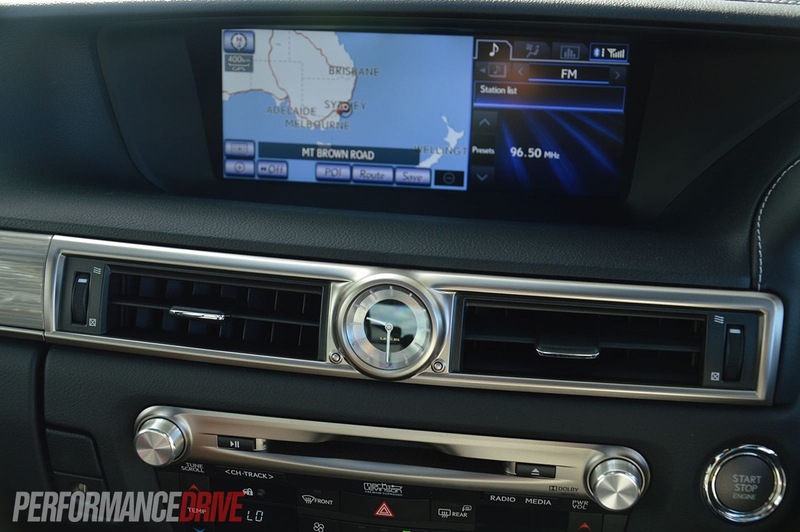 When we tested the GS 350 Sports Luxury early last year, we loved it, especially the interior. It’s a blend of modern design, techno gizmos, and a pleasant and comfortable seating arrangement. 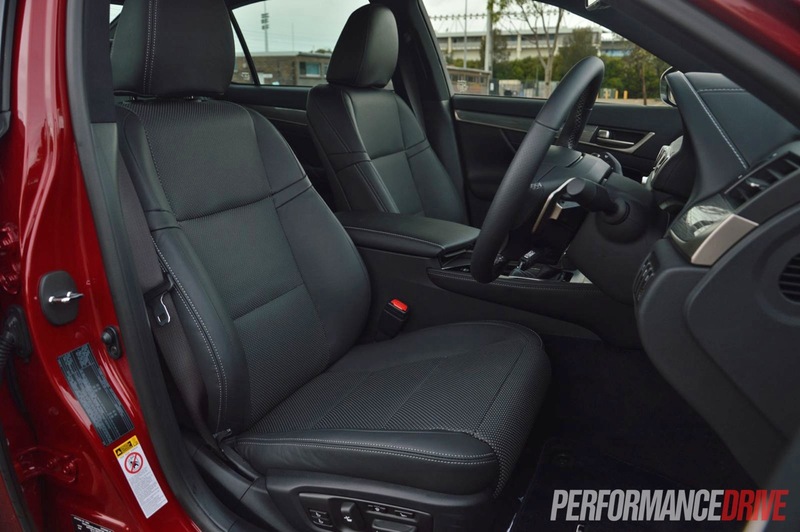 For the F Sport, it’s much the same, only it comes with bespoke sports bucket seats, and in this test car a black leather upholstery. We feel the cream leather is more luxurious and it tends to brighten up the cabin environment, nonetheless, it’s impossible to ignore the sheer quality of everything inside. 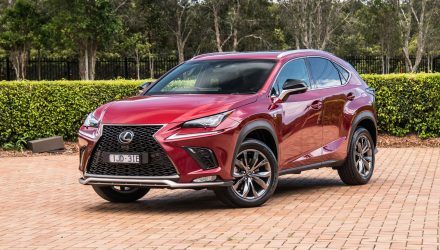 Besides, Lexus says that up to 330 different colour combinations are available, so the chances are you will find a decor that suits your tastes. Brushed aluminium dials and controls, dark wood-style inlays on the dash and console, and everything that opens and shuts is superbly well built. The gaps between fixtures and panels are snug, and there’s even a ‘pillow’ placed down the side of the front seats and centre console which catches those keys, cards, and coins (or chips) that often wander astray. 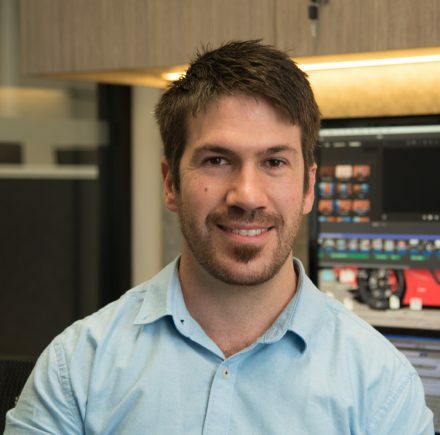 The driving position is spot on, and if it isn’t at first, the seat and the steering column can be adjusted electronically to effortlessly find that perfect position. 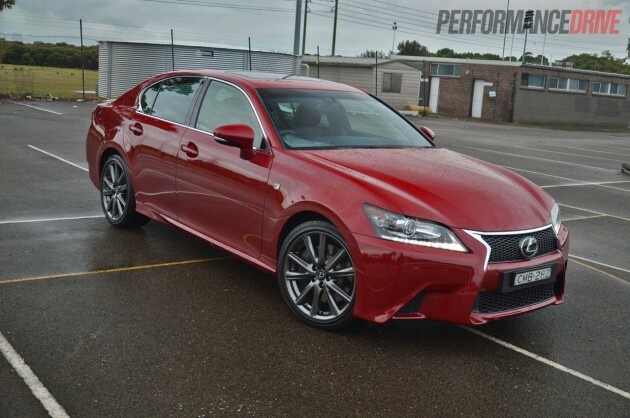 It’s when you do find it – straight away as it was for us – that you can tell Lexus has developed the GS as more of a driver’s car. You sit relatively low with the main waistline wrapping around the cabin at about shoulder height. There’s no clutter about the place either, leaving the driver to simply enjoy driving. 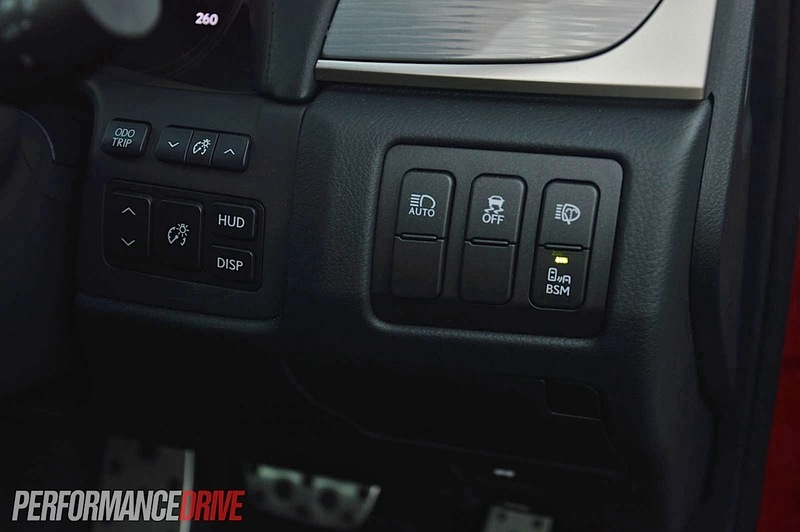 The dash sits out of your way with a very uncluttered layout, and it’s easy to get acquainted with the controls. All of the climate control settings for the front passengers are on a separate panel mid-dash, quite intuitive in their operation, while the rear climate is adjustable in the back, on the back of the centre console. It’s well thought out. 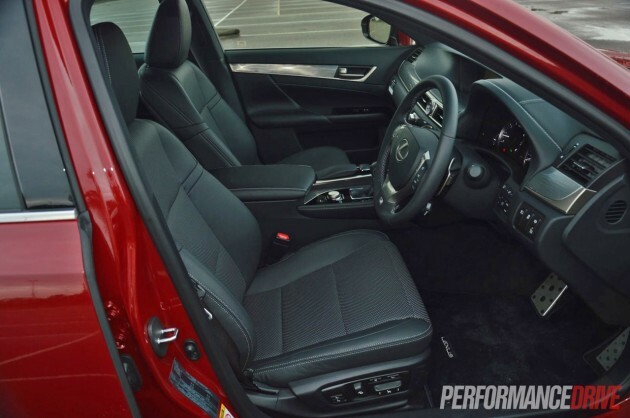 As a special touch, the F Sport seat is 20-way adjustable and comes with expandable side bolsters that can really hug you in. 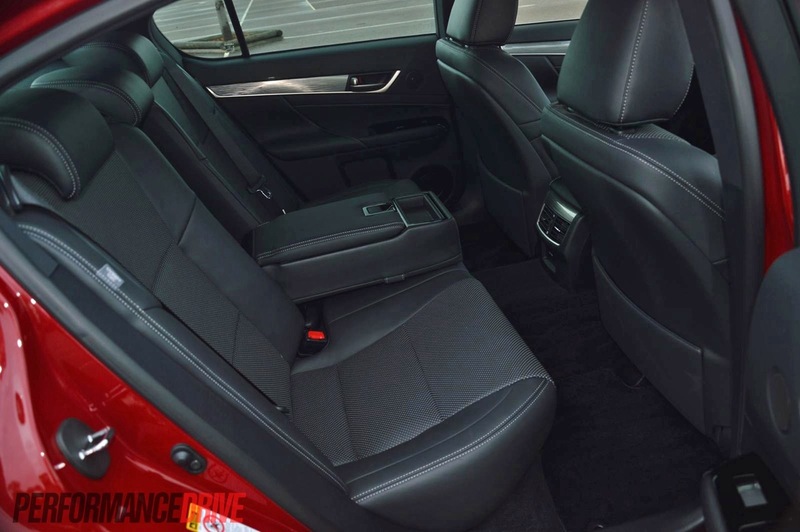 For the new GS, Lexus increased cabin space over the previous version, especially for rear seat passengers. There’s 20mm more rear legroom and 25mm of added headroom. 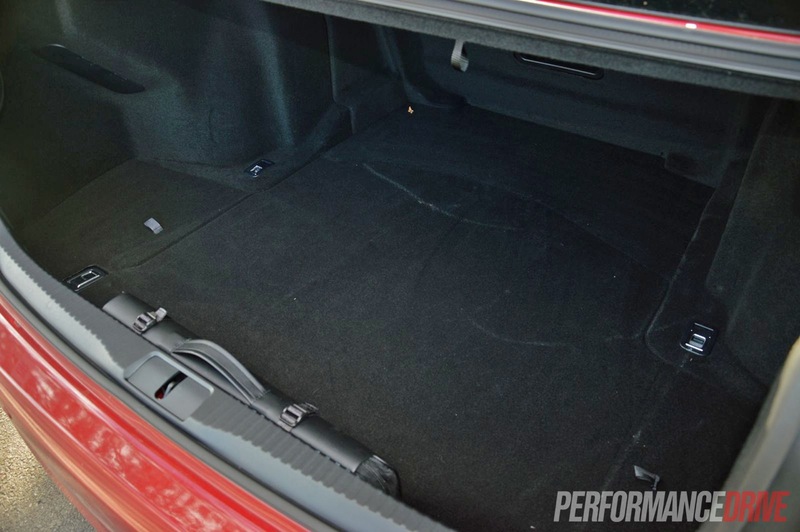 Right at the back, boot space has also grown from 430 litres to 530 litres. We found no issue with space in the back or front, with good visibility all round. 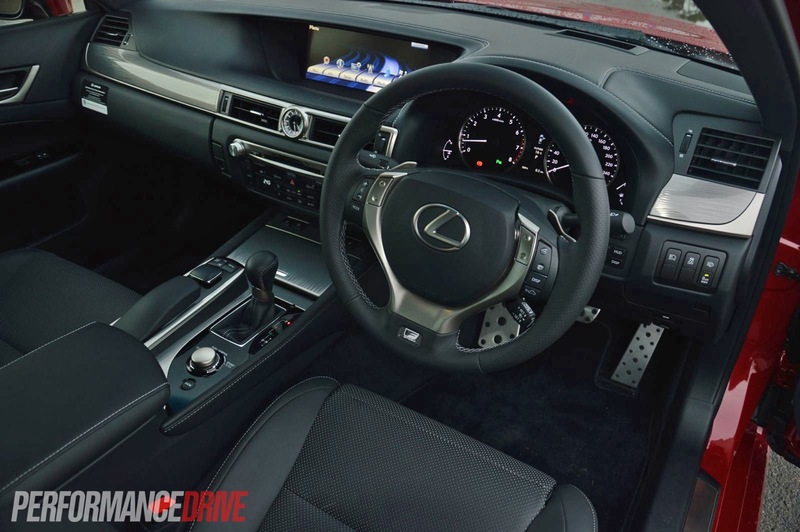 Almost everything can be adjusted using Lexus’s remote touch controller ‘mouse’ which communicates with a fantastically large 12.3-inch LCD screen taking top position on the dash. Some how the in-car designers have managed to conceal the huge screen somewhat so that it doesn’t jump out at you with a ‘look at how big I am’ presence. 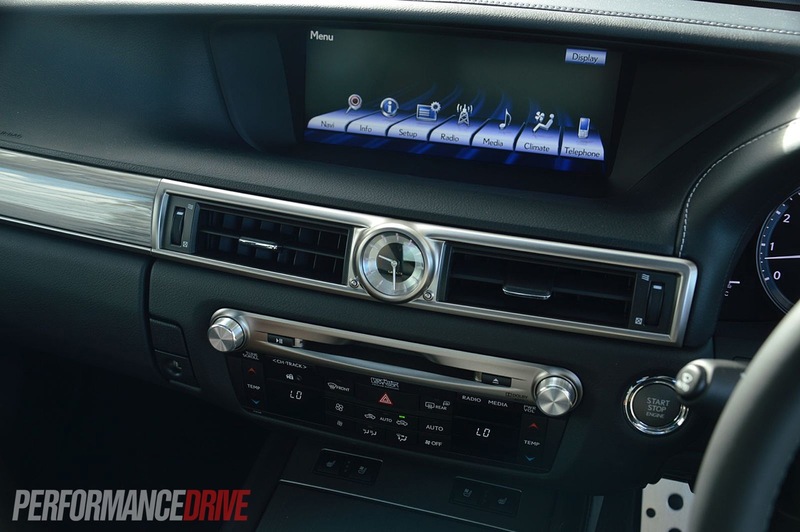 Here, you can adjust everything from menu tones and colours for the unit, as well as set your climate, navigate your way around town using the sat-nav, or simply select your media preference for playing music. 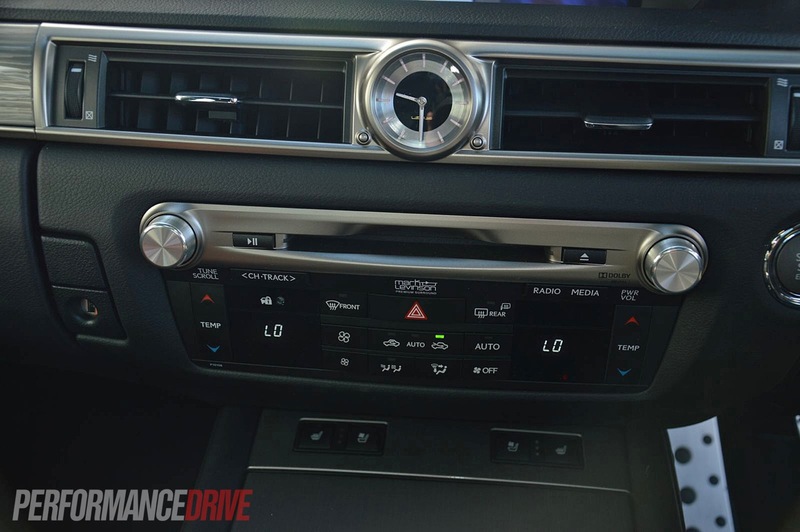 The unit is connected up to a Mark Levinson 12-speaker stereo system, which is super clear. Although, we feel it does lack some extra bass and oomph, at least until you really turn it up. 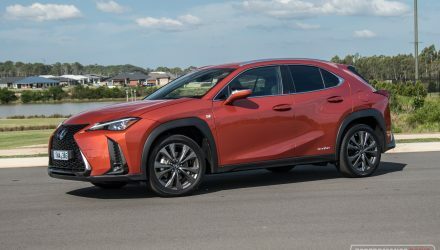 For the driver, the GS comes with a number of driving modes to choose from which alter the Adaptive Variable Suspension and the electronic rack and pinion steering. On offer are ECO, Normal, Sport and Sport + modes. 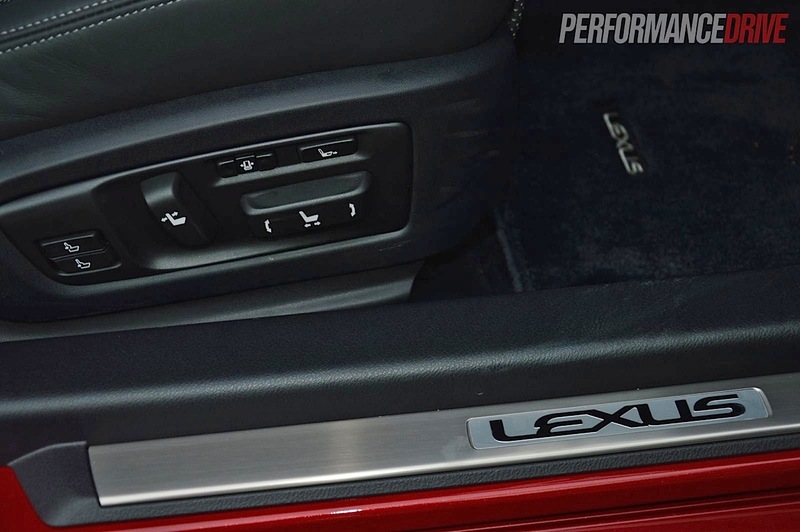 All electronic modules communicate with a central on-board computer that Lexus calls Vehicle Dynamics Integrated Management (VDIM). 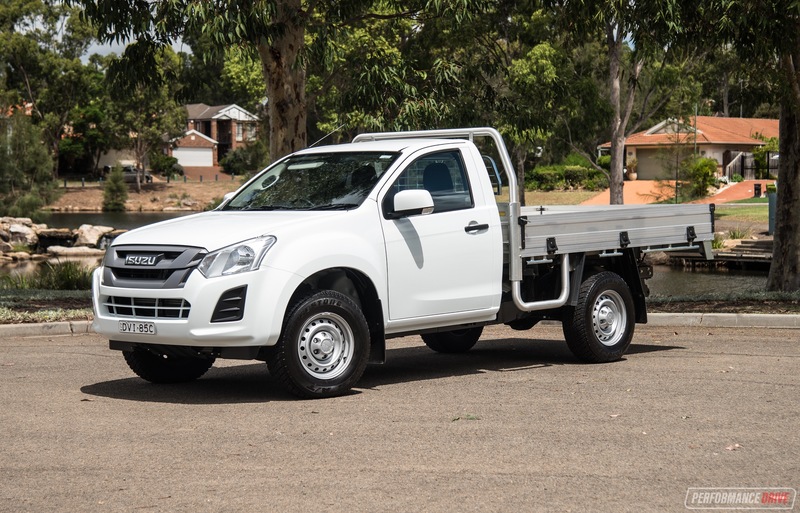 The VDIM system ensures the steering knows what the wheels are doing, how much traction is on offer, and how much braking pressure is being used/needed. 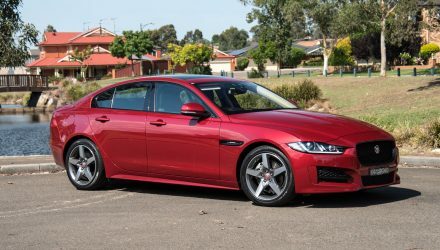 In terms of the F Sport package, it includes 10-spoke satin-finish 19-inch alloy wheels (18in spare), and an aggressive and sharp bodykit with a neat lip spoiler on the boot and a small diffuser on the underside, a mesh grille at the front and a unique front bumper bar. 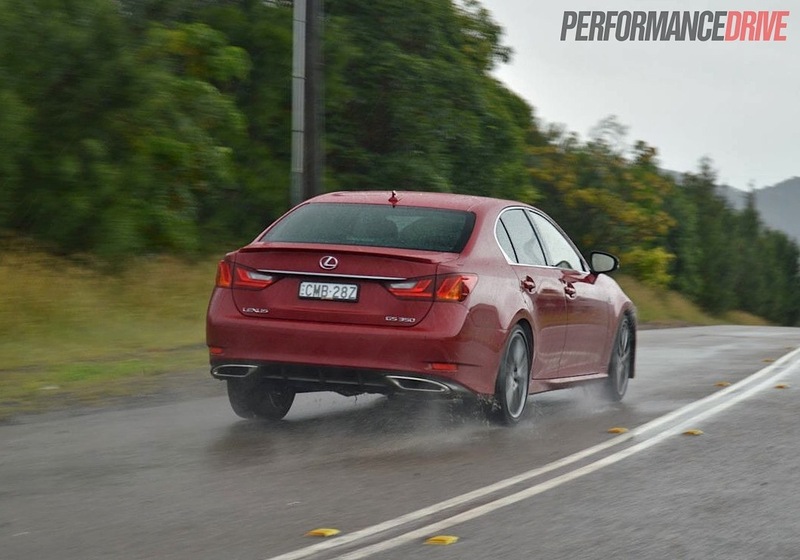 Mechanically, the GS 350 F Sport also comes with Dynamic Rear Steering – a first for a GS and a first for a Lexus offered in Australia – large four-piston brakes, and Variable Gear Ratio electric steering. 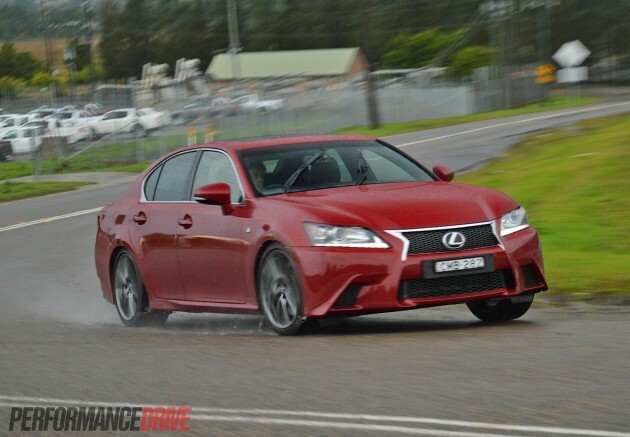 Power for the GS 350 comes from a high-compression (11.8:1) 3.5-litre naturally aspirated V6 producing 233kW and 378Nm. 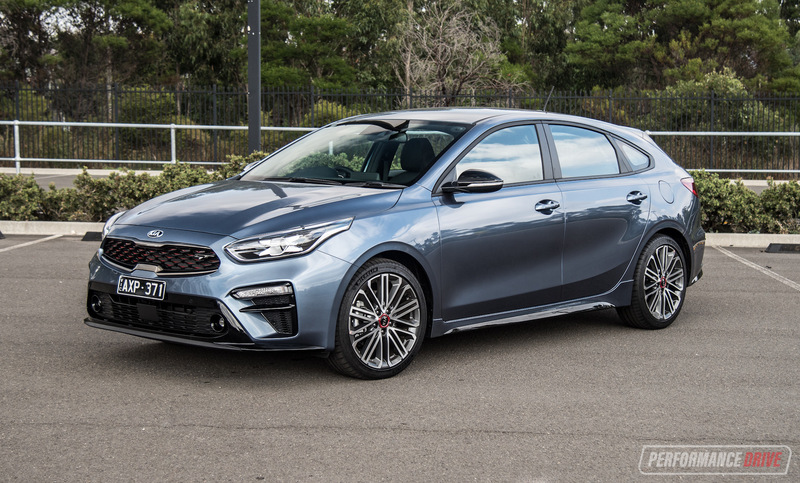 It’s connected to six-speed sports automatic sending grunt to the rear wheels. Despite being a large luxury sedan that weighs 1740kg, the GS 350 feels strangely light. In car parks and so on the variable steering is at its easiest setting which makes poking through intricate inner-city streets a breeze. On the highway, the GS feels super secure. The steering tightens up for increased feel, and the sporty F Sport suspension is supple and soothing in Comfort and Normal modes. In Sport and Sport +, it is noticeably firmer. Drawing a distinction between Sport and Sport + is difficult though. 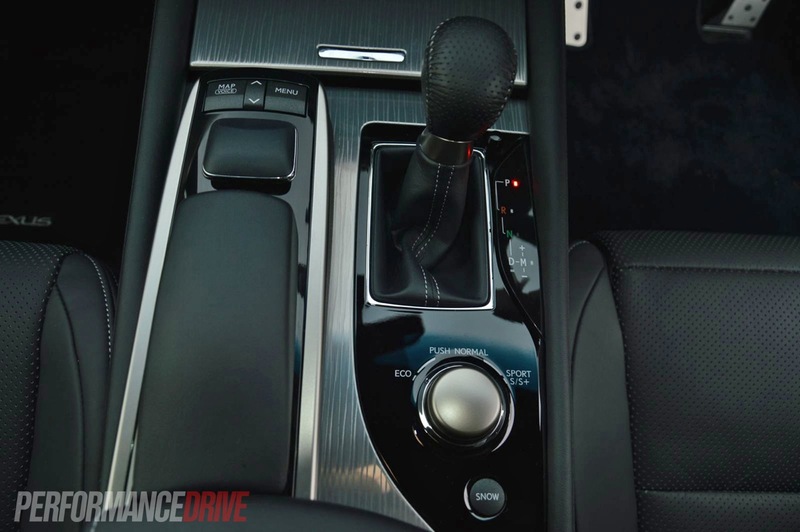 We found the Normal setting to be the best for all types of driving. When you want to enjoy a nice mountain road, the GS 350 F Sport shows its true talent. 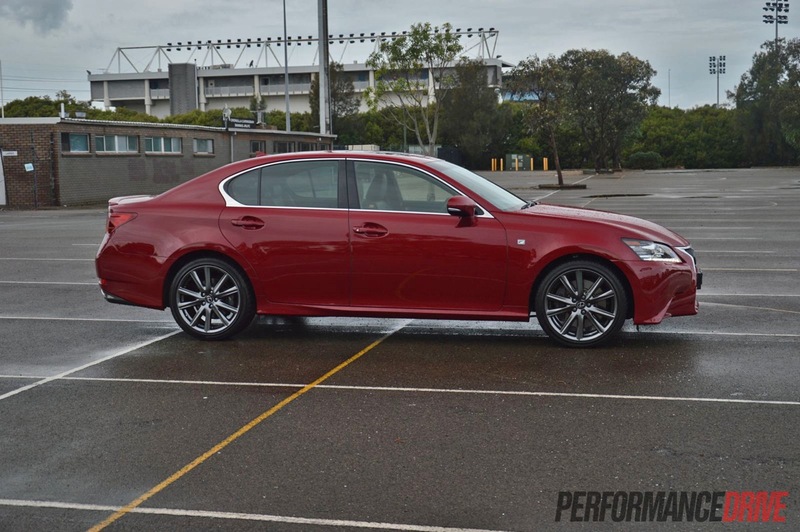 It behaves like a proper sports sedan, allowing you to ‘throw’ it into corners and get on the power nice and early. You can get a bit of a drift on if you time it correctly and modify the apex slightly, however, it’s actually more pleasurable to simply embrace the rail-like road holding and let the car guide you around a normal ‘race line’. 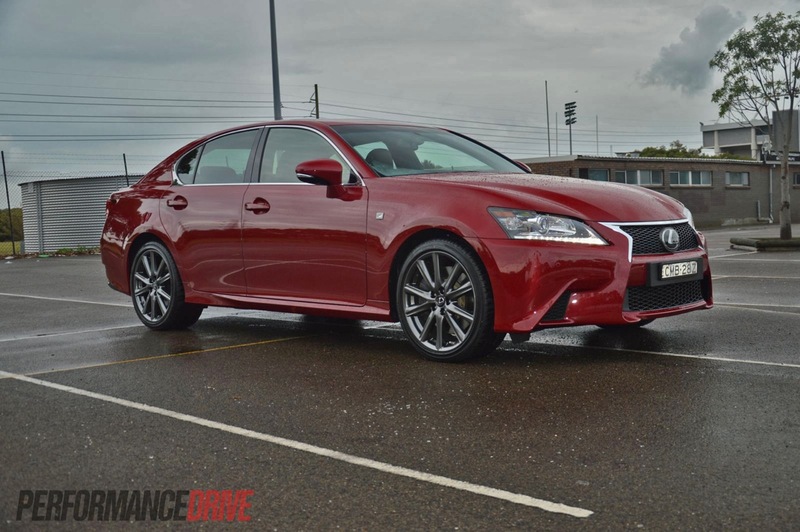 Thanks to a front axle camber stiffness that has been increased by 26 per cent over the previous model, the GS 350 steers in with a flat and neutral composure. We couldn’t provoke understeer within the limits of road legal driving. If you push beyond, it still remains sure-footed and focused on the job of bending around corners. 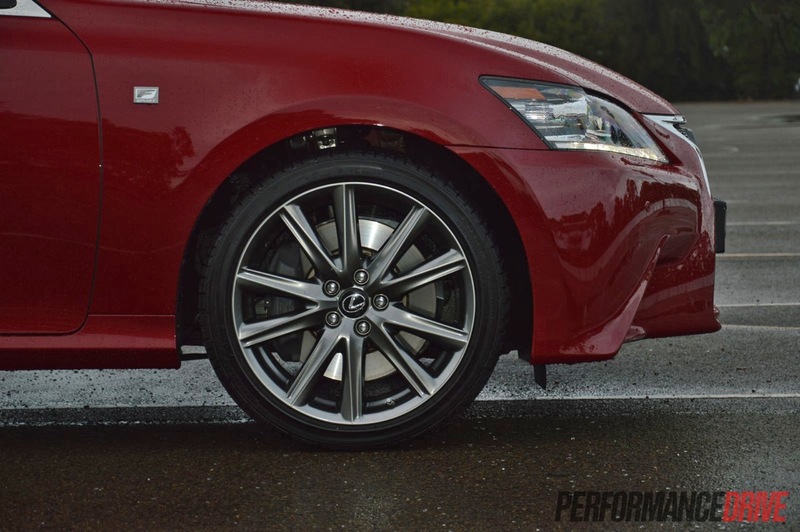 When it comes time to use those four-piston brakes, the GS offers face-distorting stopping power. You can jump on them really late leading into a corner and the pads will bite hard and strong, with good feedback and pedal feel. After repeated abuse, they show no sign of fade or pedal drop. Jumping back onto the power is an experience that provokes lots of smiles. 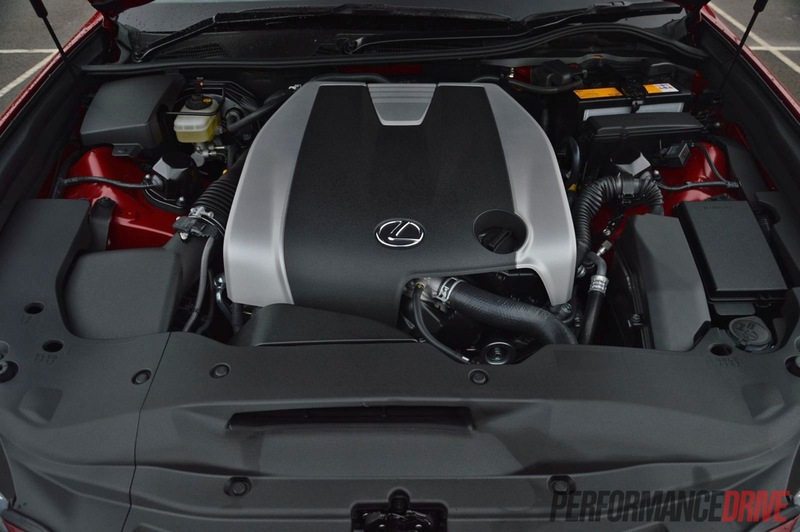 The V6 features a complex induction system which gives off an almighty V6 growl. It sounds awesome. Performance is on par with similarly-specified rivals. Each gear is quite long, which means you can really stretch its legs. 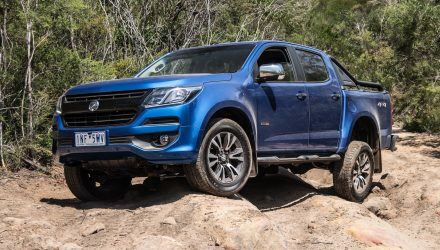 Lower gears don’t last as long, which is a good thing, helping to provide impressive low-end grunt pulling you off the line and away from corners. We timed 0-100km/h in 5.9 seconds. We’d like to see how a quicker diff ratio would perform. 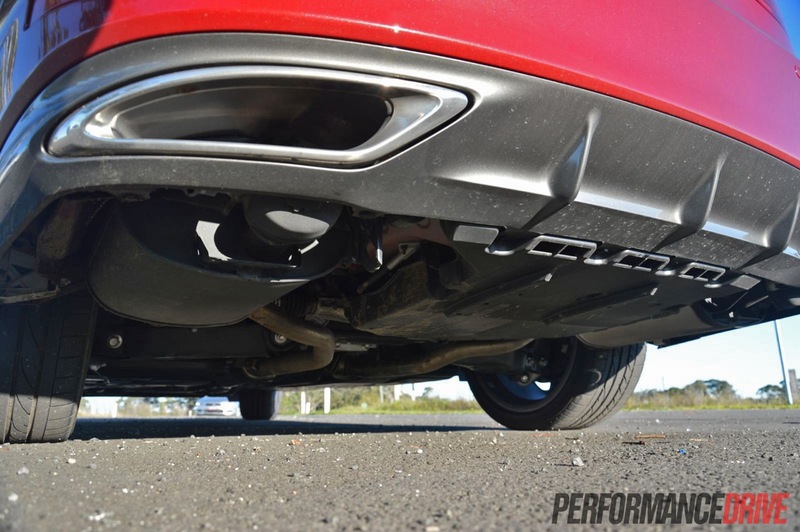 A quicker diff would give it snappier, more lively acceleration. Although, this would tarnish the already marginal fuel economy. 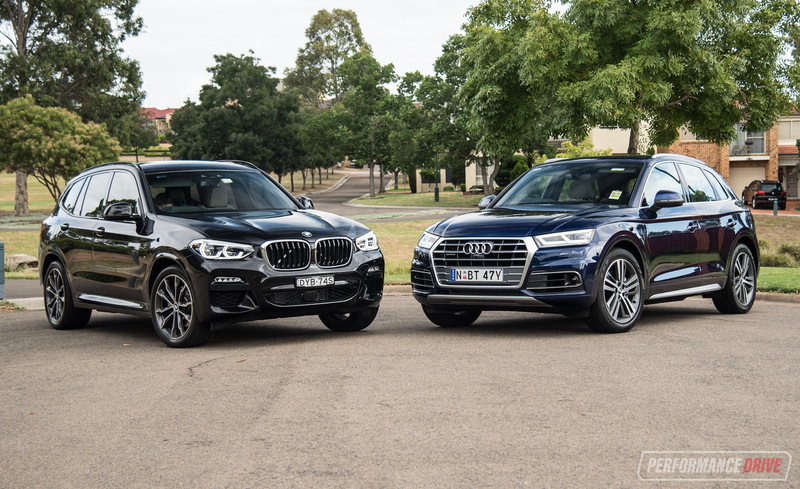 In terms of economy, we averaged 11.5L/100km during our test while the official is 9.7L/100km – keeping in mind the BMW M5 offers an official average of 9.9/100km while the all-wheel drive Audi RS 6 uses just 9.8L/100km (both offer over 400kW from a twin-turbo V8). 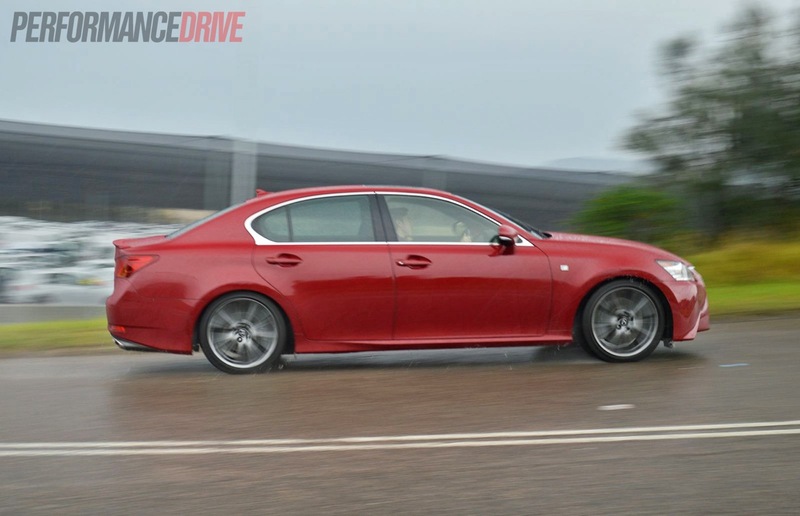 The GS remains as an intelligent vehicle for intelligent buyers, in Lexus tradition. It’s not the usual German sedan that most have become accustomed to in this segment over the years, yet, it is more than a worthy contender. 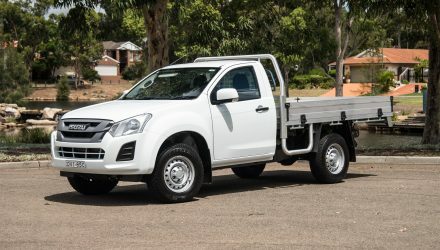 It presents a great package with lots of modern conveniences as standard, a competitive price, a smart design, and, for us, as-good-as the best handling chassis in the business. It really is a brilliant driver. 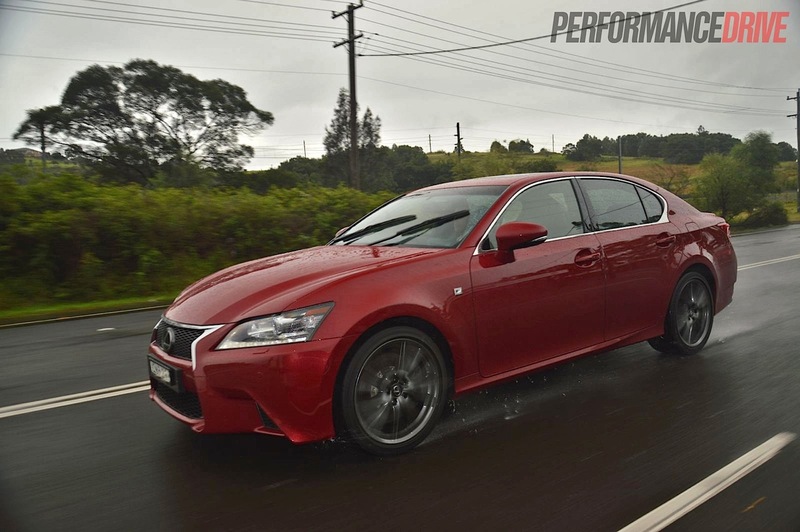 We can’t wait for the upcoming GS F high performance iteration.